Keep your treasures safe and away from the pesky adventurers with this official Dungeons & Dragons Red Dragon Gamer Pouch. This premium, comfy storage pouch will hold your valuable dice, tokens and other gaming accessories. 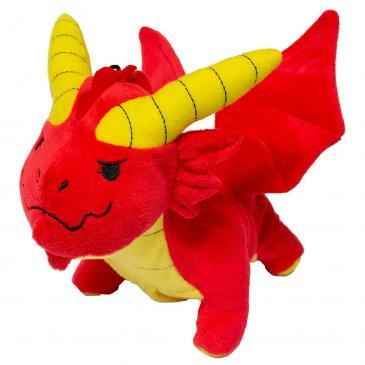 Made with a soft plush material, zippered compartment and elastic loop to keep the Red Dragon tightly closed.